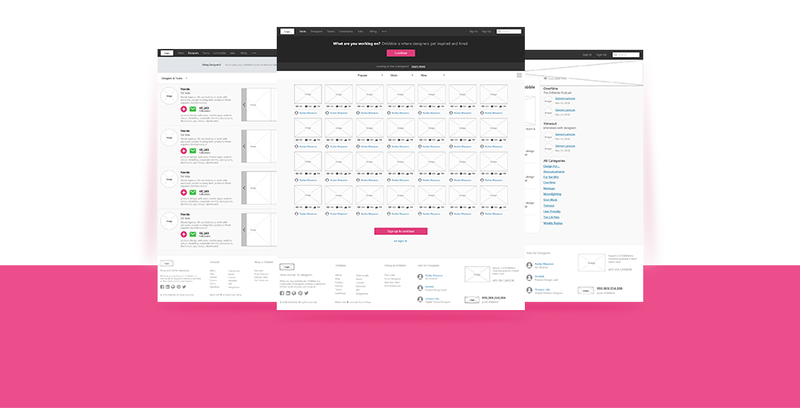 Dribbble is an online design platform that offers services for creators, artists, designers and more people who make creative design works. As one of the best online design platforms, it not only showcases many useful sources and links of creative design works, and also stands outs for excellent graphic combination and neat layouts. And this prototype uses many components, including “Popup Panel”, “Button”, “Menu Bar”, “Panel”,“Search Box” and “Checkbox” components, etc. It also uses “OneClick” trigger to create drop-down menu effects (with the help of “Popup Panel” components) and photo scrolling effects (in combination with “Panel” components ). Pages of this prototype: Home, Designers and Jobs, etc.